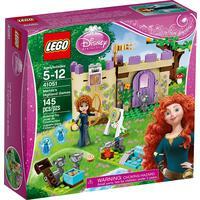 Help Disney Princess Rapunzel and Pascal plot an escape from the castle! 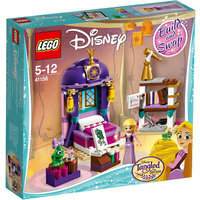 LEGO® l Disney 41156 Rapunzel’s Castle Bedroom is easy to build and perfect for recreating favorite moments from Disney’s Tangled: The Series. 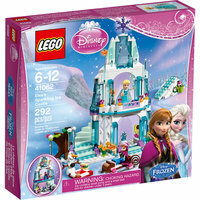 It includes an escape route, bed with secret compartment, bookcase, easel and a telescope. 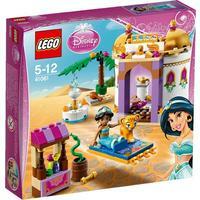 Explore a whole new world with Aladdin and Jasmine’s Palace Adventures! 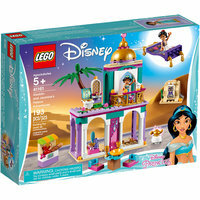 LEGO® l Disney 41161 Aladdin and Jasmine’s Palace Adventures is the perfect Aladdin play set for recreating magical scenes from Disney’s Aladdin movie. 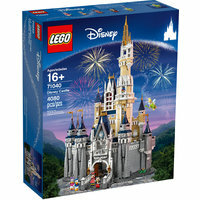 With a small marketplace, Cave of Wonders, palace and a flying carpet, Disney fans can relive the magic over and over again. 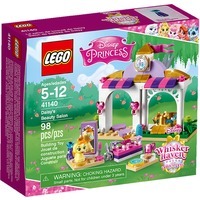 Easily move the furniture and market stall into different rooms in the palace for a customizable play experience. 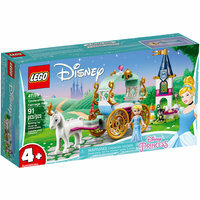 Help your youngster relive the Disney magic with Cinderella’s Carriage Ride! 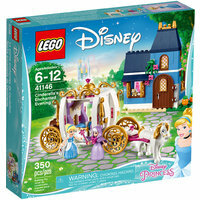 Let your child recreate magical moments from Disney’s Cinderella movie with LEGO® l Disney 41159 Cinderella’s Carriage Ride. 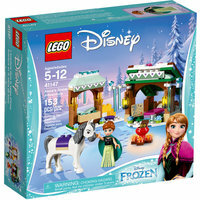 This LEGO 4+ Cinderella horse and carriage toy building set is specially designed to be fun and easy for preschoolers and youngsters, with animal figures for role-play fun and a special Starter Brick base. 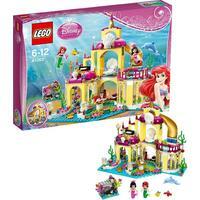 Help your child create endless adventures at Ariel’s Seaside Castle! 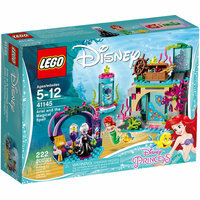 Let your child recreate magical moments from Disney’s The Little Mermaid movie with LEGO® l Disney 41160 Ariel’s Seaside Castle. 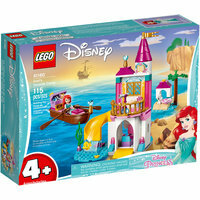 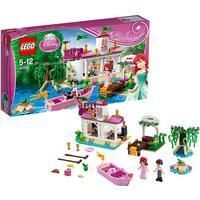 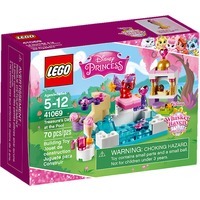 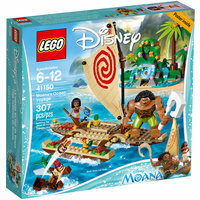 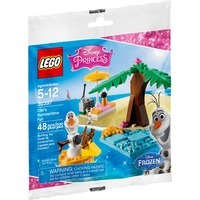 This LEGO 4+ The Little Mermaid toy building set is specially designed to be fun and easy for preschoolers and youngsters, with a fun slide, doghouse and a rowing boat plus a special Starter Brick base. 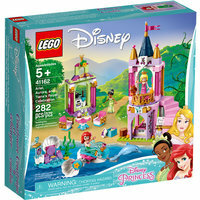 Bring 3 iconic Disney Princesses together with Ariel, Aurora and Tiana’s Royal Celebration! 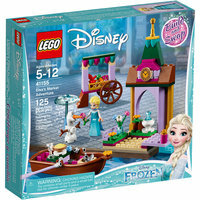 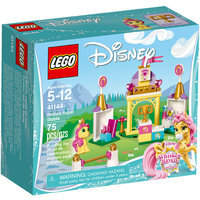 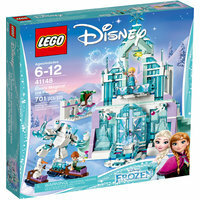 LEGO® l Disney 41162 Ariel, Aurora and Tiana’s Royal Celebration is a special set with 3 iconic Disney Princesses marking 3 important Disney anniversaries: the 60th Anniversary of Disney’s Sleeping Beauty, the 30th Anniversary of Disney’s The Little Mermaid and the 10th Anniversary of Disney's The Princess and the Frog. 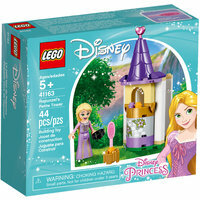 Take Princess Jasmine’s Petite Tower to play with wherever you go! 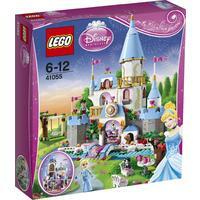 LEGO® l Disney 41158 Jasmine’s Petite Tower is easy to build and perfect for fans of Disney’s Aladdin. 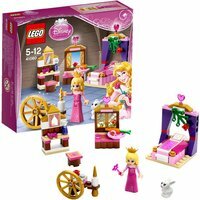 It includes a Disney Princess Jasmine mini-doll figure, balcony, drinks glass and a perfume bottle for all sorts of role-play fun. 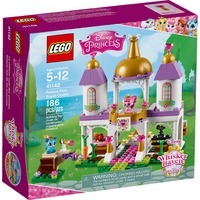 Open up the tower to store all the pieces safely inside this handy Princess Jasmine play set. 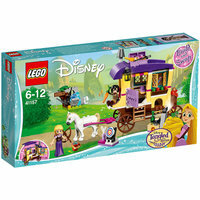 Jump into the caravan for adventures with Rapunzel and Cassandra! 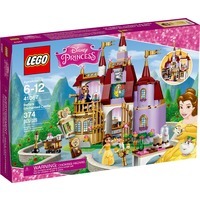 LEGO® l Disney 41157 Rapunzel’s Traveling Caravan is the perfect Disney Princess toy for recreating Rapunzel and Cassandra’s adventure out of Corona in Disney’s Tangled: The Series. 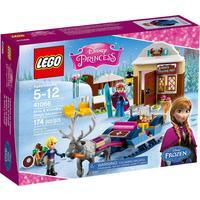 It has a pull-out bed, stove, treasure chest, archery target and plenty of supplies for the journey. 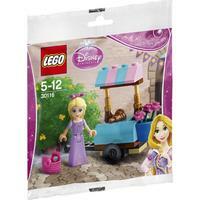 Lift off the roof or open the side wall of the caravan for easy play inside. 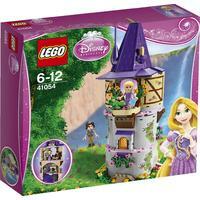 Take Rapunzel’s Petite Tower to play with wherever you go! 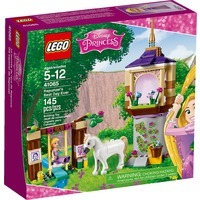 LEGO® l Disney 41163 Rapunzel’s Petite Tower is easy to build and the perfect Rapunzel play set for fans of Disney’s Tangled. 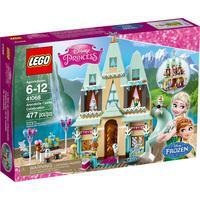 It includes a Rapunzel mini-doll figure, hairbrush and frying pan for all sorts of role-play fun. 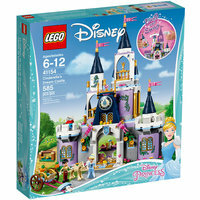 Open up the Rapunzel’s tower toy building set to store all the pieces safely inside, and integrate the tower with other compatible LEGO l Disney Princess™ sets.